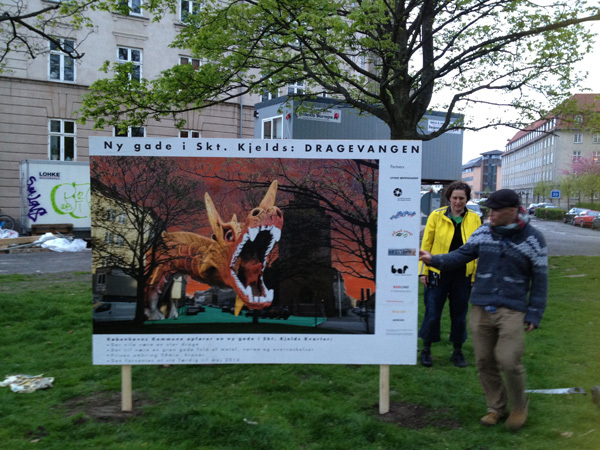 In collaboration with artists Nicole Garneau and Maria Eichhorn as part of LIVING COPENHAGEN. 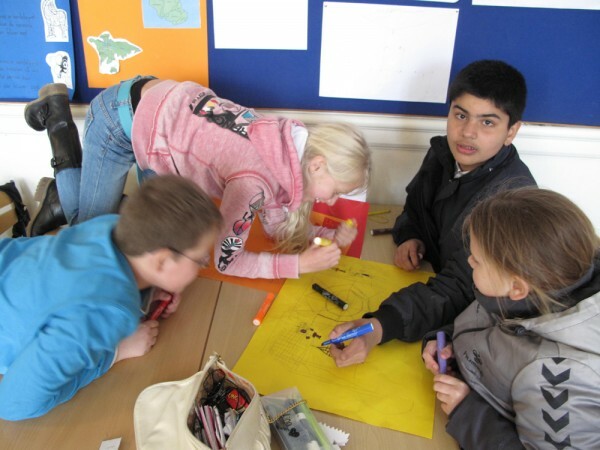 What if children’s world views were the starting point for cultural development in Sankt Kjelds? 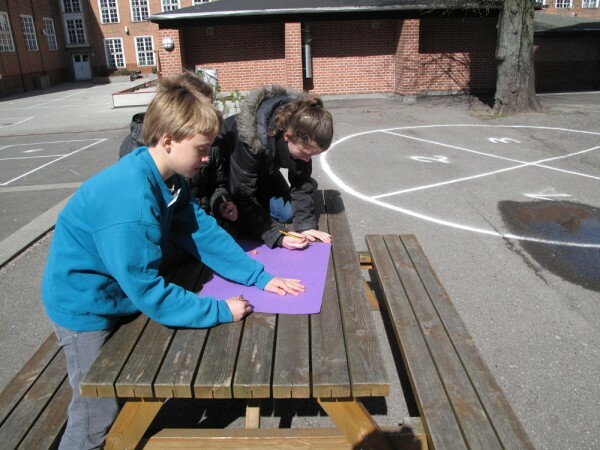 The work of Child Researchers began in February 2012 with an experiment in encountering children and families in the neighborhood of Sankt Kjelds. Blowing bubbles on a winter afternoon in Kildevaeldsparken, we asked parents walking home from school with their children to tell us about fun places in the neighborhood, and gave them bottles of bubbles in exchange for this information. We were interested in projects like Notes for a People’s Atlas, Radical Cartography, and Participatory Maps for Inclusive Cities that utilize mapping as a political and artistic strategy. We were also curious about UNICEF’s Child-Friendly Cities initiative that has been utilized in places like Bam, Iran, after their 2003 earthquake. We envisioned our work as a process of research, workshops, and curated experiences designed to help children imagine changes for their neighborhood. 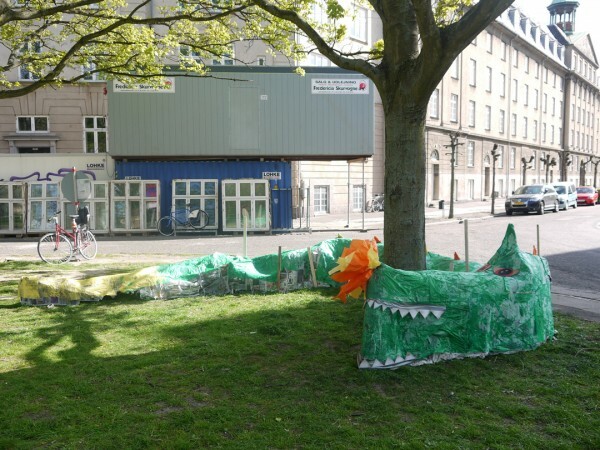 In February, we ran a prototype mapping workshop in Kildevælds Park with 11-and 12-year-old girls. 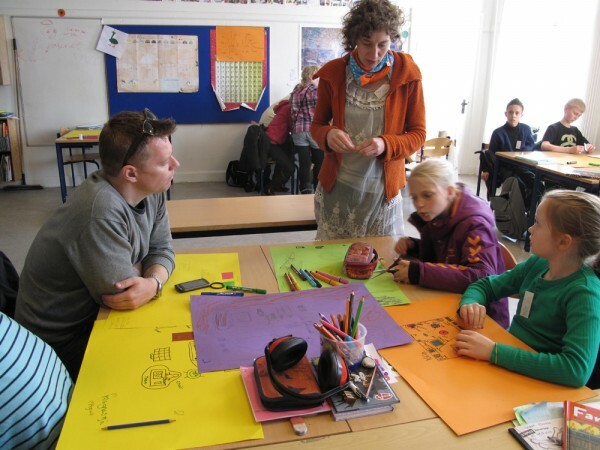 The results of their work helped us develop a proposal to Kildevælds School administration for a series of mapping workshops we hoped to do with children in the school. One brave 5th grade teacher took us up on our offer, and we spent 5 weeks in April and May working with this group of children on creative mapping and an urban design project for their neighborhood. 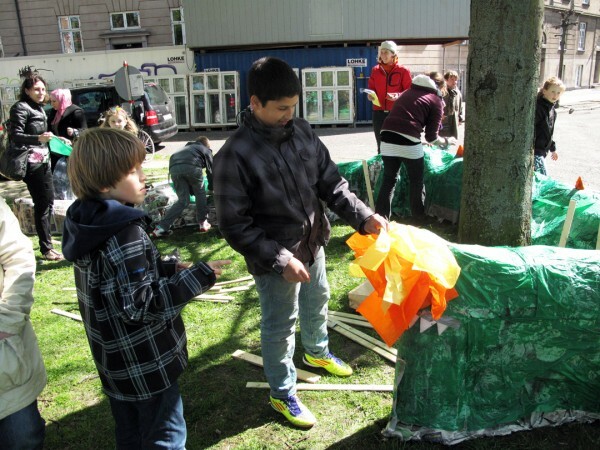 On Saturday May 5, we hosted a community building activity for children and parents based on designs for interventions we created in collaboration with the students. It is our hope that the creative research activities of children will inform the plans for the development of both urban spaces and the Cultural Center planned for a site near the school. 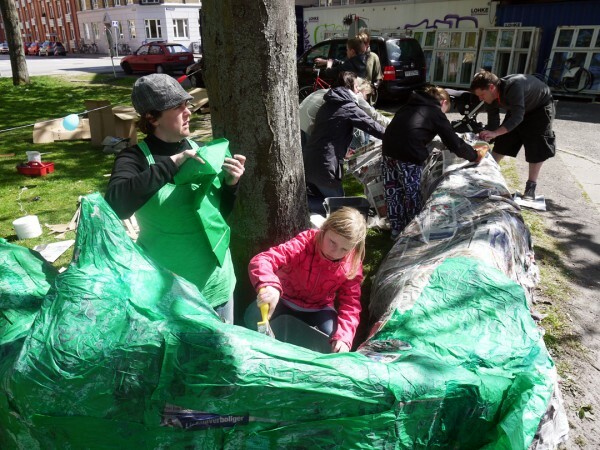 This work could be used not only to involve children in the design of outdoor and indoor spaces, but might inform the development of workshops for adults that explore approaches normally reserved for work with children. 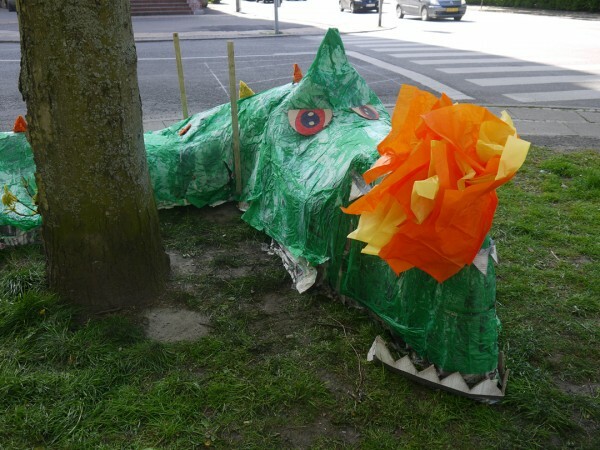 In this way, we hope to encourage a sense of wonder and playfulness in both adults and children.